Visit the most preserved Croatian fortress in Osijek, and attend a performance by young students of the Franjo Kuhac music school. In Serbia, take a guided tour of Belgrade, including one of the world’s largest Orthodox churches, and visit Lepenski Vir for a guided tour. 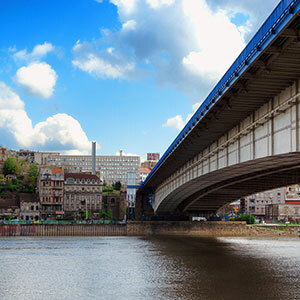 See ancient archaeological finds and the amazing Danube Gorge before cruising through the narrow Iron Gates Gorge—the natural border between Serbia and Romania. You’ll cruise through Bulgaria with guided sightseeing in Vidin, Rousse, Veliko Trnovo, and Arbanassi. Such marvelous sights include Belogradchik’s remarkable rock formations made by 200 million years of nature’s elements and ancient stone cliff houses above the Yantra River.